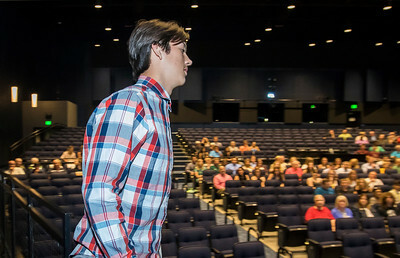 Sarah Nader - snader@shawmedia.com McHenry's Bobby Miller collects the Baseball Player of the Year awards at Tuesday's McHenry County Most Valuable Athletes Awards hosted by the Northwest Herald at Cary-Grove High School June 6, 2017. 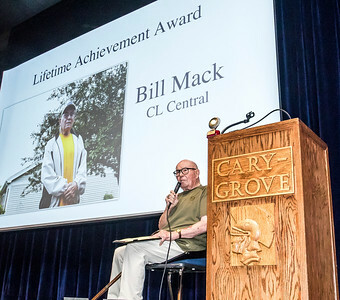 Sarah Nader - snader@shawmedia.com Former Crystal Lake Central football coach Bill Mack is honored with the Lifetime Achievement award at Tuesday's McHenry County Most Valuable Athletes Awards hosted by the Northwest Herald at Cary-Grove High School June 6, 2017. 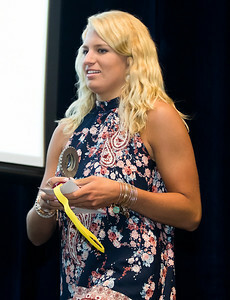 Sarah Nader - snader@shawmedia.com Crystal Lake South's Annika Sevcik collects the Female Athlete of the Year award at Tuesday's McHenry County Most Valuable Athletes Awards hosted by the Northwest Herald at Cary-Grove High School June 6, 2017. 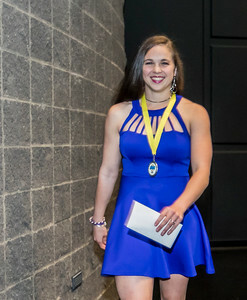 Sarah Nader - snader@shawmedia.com Crystal Lake Central's Lenny Petersen collects the Wrestler of the Year award at Tuesday's McHenry County Most Valuable Athletes Awards hosted by the Northwest Herald at Cary-Grove High School June 6, 2017. 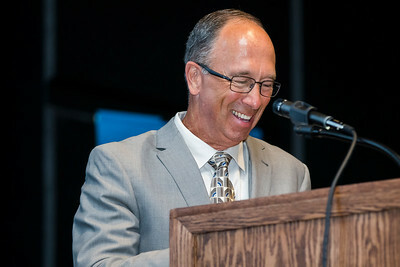 Sarah Nader - snader@shawmedia.com Northwest Herald reporter Joe Stevenson emcees at Tuesday's McHenry County Most Valuable Athletes Awards hosted by the Northwest Herald at Cary-Grove High School June 6, 2017. 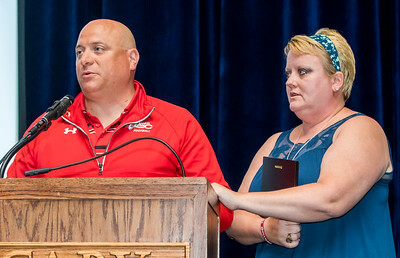 Sarah Nader - snader@shawmedia.com Patrick and Rae Caskey of Marengo accept the Courage Award for their son Derek Caskey at Tuesday's McHenry County Most Valuable Athletes Awards hosted by the Northwest Herald at Cary-Grove High School June 6, 2017. Sarah Nader - snader@shawmedia.com Jacobs' Kerwin Chong collects the Boys Tennis Play of the Year at Tuesday's McHenry County Most Valuable Athletes Awards hosted by the Northwest Herald at Cary-Grove High School June 6, 2017. Sarah Nader - snader@shawmedia.com Johnsburg's Hannah Interrante collects the Girls Basketball Play of the Year award at Tuesday's McHenry County Most Valuable Athletes Awards hosted by the Northwest Herald at Cary-Grove High School June 6, 2017. Sarah Nader - snader@shawmedia.com Prairie Ridge's Valerie Tarazi collects the Girls Swimmer of the Year award at Tuesday's McHenry County Most Valuable Athletes Awards hosted by the Northwest Herald at Cary-Grove High School June 6, 2017. 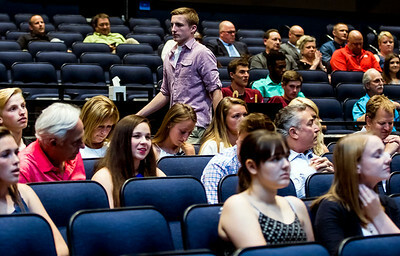 Sarah Nader - snader@shawmedia.com Crystal Lake South's Jack Becker collects the Boys Cross Country Athlete of the Year award at Tuesday's McHenry County Most Valuable Athletes Awards hosted by the Northwest Herald at Cary-Grove High School June 6, 2017. 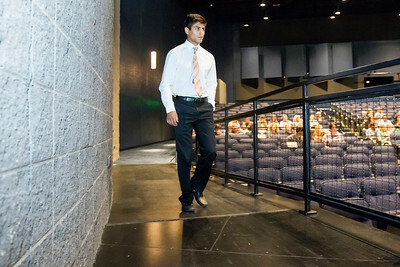 Sarah Nader - snader@shawmedia.com Prairie Ridge's Samson Evans collects the Football Player of the Year award at Tuesday's McHenry County Most Valuable Athletes Awards hosted by the Northwest Herald at Cary-Grove High School June 6, 2017. 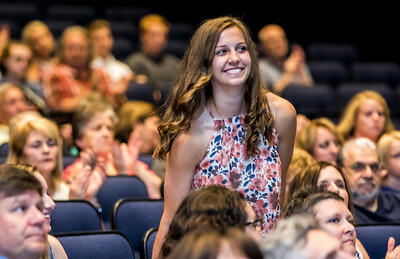 Sarah Nader - snader@shawmedia.com Prairie Ridge's Natasha Schaffer collects the Girls Track and Field Athlete of the Year at Tuesday's McHenry County Most Valuable Athletes Awards hosted by the Northwest Herald at Cary-Grove High School June 6, 2017. 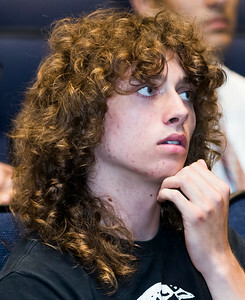 Sarah Nader - snader@shawmedia.com Crystal Lake South's Sam Peschke sits the the audience during Tuesday's McHenry County Most Valuable Athletes Awards hosted by the Northwest Herald at Cary-Grove High School June 6, 2017. Sarah Nader - snader@shawmedia.com Marengo's Mike Volkening is honored as a Buffalo Wild Wings Athlete of the Month at Tuesday's McHenry County Most Valuable Athletes Awards hosted by the Northwest Herald at Cary-Grove High School June 6, 2017. 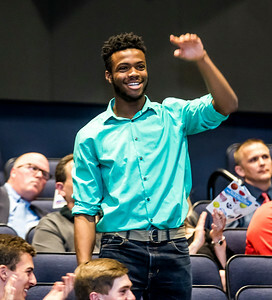 Sarah Nader - snader@shawmedia.com Huntley's Dubem Anikamadu collects the Track and Field Athlete of the Year award at Tuesday's McHenry County Most Valuable Athletes Awards hosted by the Northwest Herald at Cary-Grove High School June 6, 2017. 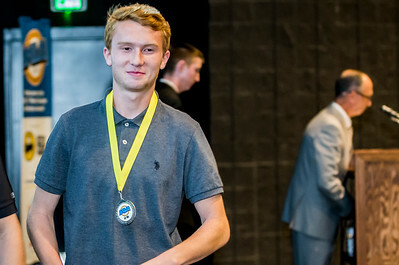 Crystal Lake South's Jack Becker collects the Boys Cross Country Athlete of the Year award at Tuesday's McHenry County Most Valuable Athletes Awards hosted by the Northwest Herald at Cary-Grove High School June 6, 2017.